We've all overheard conversations that are stuffed with technical terminology and industry jargon that they make little to no sense. When specialized terminology is at play, deciphering things takes a base of knowledge that extends beyond common sense. This is especially true when it comes to acronyms, which can sound like pure Greek to those who aren't in the know. As you might expect, your intranet is rife with technical terms, and getting to know some of the more common ones is essential. 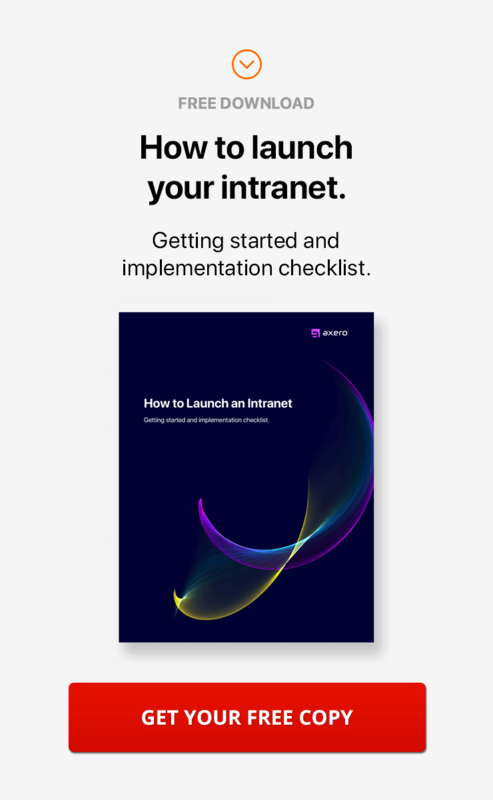 Learning how to use intranet software is actually far easier and less intimidating than you might expect, and taking the time to internalize common terms and abbreviations will help. 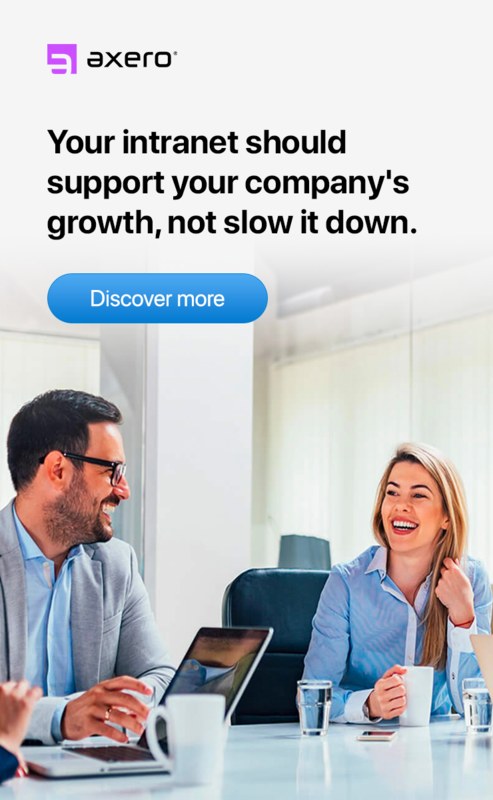 Many of these terms pop up on a regular basis, and you'll save time if every member of your organization is familiar with them. Educating community members ahead of time is essential to streamline the company intranet. While not exhaustive, the following list contains some of the most common terms you'll encounter, each having its own specific function and purpose. A user's activity stream is one of the primary aspects of the social community as it keeps people informed about company happenings. The activity stream is the first thing users see when they log in to the intranet, and it lists off recent updates and happenings occurring within the community. Navigating an activity stream is fairly easy once you get familiar with how the intranet operates and most activity streams mimic the functionality of major social media networks, making the learning curve relatively non-existent. Similar to an intranet's activity stream, an activity ticker helps to keep people updated on recent events without requiring them to go elsewhere. The activity ticker sits within its own scrolling window in the community, so you don't have to visit another part of the intranet to access it. An activity ticker is extremely useful when a community is rife with user action. Every social intranet requires an administrator, an individual with unlimited access that ensures proper use and management. The tasks handled by an administrator can vary dramatically, ranging from putting out fires and displacing arguments, to simply ensuring that functionality doesn't suffer when changes occur. The role of an intranet administrator is a very important, full-time job and it's essential to choose wisely the person who will fill this seat. Business blogging is a huge part of the Internet and it is just as effective when utilized as a feature of your social intranet. You and your staff members can create blogs for entertainment purposes, for outlining internal documentation, or for posting to the Internet at large. For best results, choose bloggers within your organization who have a penchant for the written word, as quality is essential here. Calendars serve as a major part of any active social community, and learning how to harness their power is essential for each and every community member. When calendars are properly utilized, scheduling becomes a breeze, and common issues such as double-booking simply disappear. One thing that sets intranet calendars apart from third-party applications is that community members have a choice between two different varieties — "personal" and "shared." Personal calendars help you keep track of your own life, while their shared counterparts help keep you and your colleagues on the same page. For best results, personal and shared calendars should be used in conjunction with one another. A campaign can be viewed as an effort, or group of efforts, put forth in an attempt to solve a problem. Within the company intranet, a campaign can refer to a project, internal marketing effort, team-building exercise, and so much more. When campaigns are properly designed and seen through from beginning to end, they can have a profound impact on both the intranet and the business itself. Content refers to anything that makes up the bulk of a social intranet, and can vary dramatically from one organization to another. A photo house, for example, might use their intranet to manage thousands of photographs, while keeping blogs and wikis to a minimum. Similarly, tech firms might prefer to outfit their intranets with technical documentation and keep media such as photos and videos from taking over the social community. 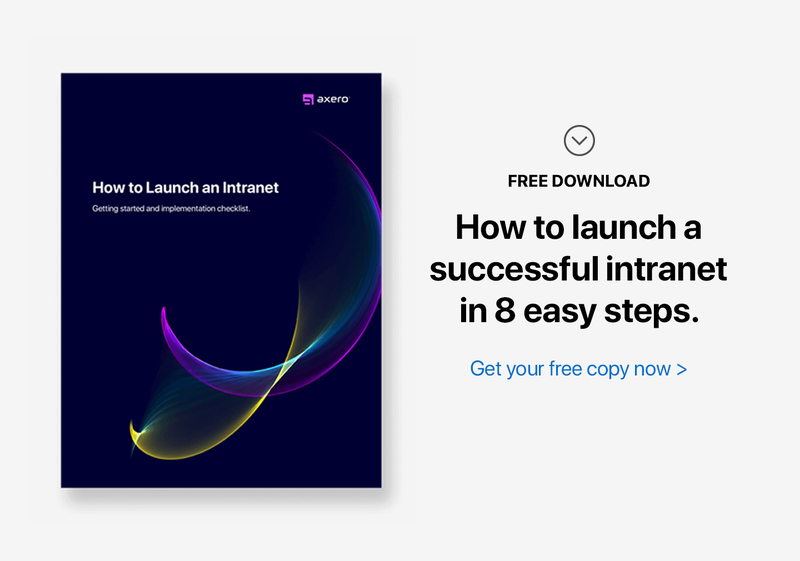 There's really no right or wrong way to outfit an intranet with content, but having an intranet content strategy is typically the best way to determine what's right for your social community. One of the most useful features of a well-designed social intranet is cases, which can be utilized for a variety of different purposes. Cases can be opened and used as tickets for internal or external issues, or for managing projects. Because the status of a case is easily changed on the fly, this serves as a highly useful system for issue tracking or publishing project updates to the community. When cases are properly utilized, they can help to take a social intranet to entirely new heights. Employee engagement is essential for making sure the intranet works properly. Improving employee engagement is often a lengthy process, but it's not nearly as difficult as most people think. By simply paying attention to the needs of your staff members, and showing that you care, you can achieve higher levels of engagement, especially if you work toward fostering a more productive staff. No matter what industry, members of an active organization have to keep track of events on a regular basis. Events can range dramatically in function and purpose, from phone conferences, to trade shows, and everything in between. Keeping track of events isn't always easy, but the "Events" feature in social business software makes it possible to manage events without even leaving the intranet. As an added benefit, events within your intranet help keep everyone on the same page, which lowers the chance that someone might miss an important meeting or end up surprised when an event pops up unexpectedly. It's important to view an intranet as a social community, similar to mainstream social media platforms which people use to keep up with friends and family. The "Friends" feature found within today's modern intranets illustrates this nicely, as it is used in a similar manner to those of larger social media networks. This feature isn't necessarily essential to getting a social community off the ground, but it can help you keep track of what your colleagues are up to, and helps make the community run more effectively. Many people are well-aware of the functions that a homepage serves in the context of the Internet at large, and it's not far off from how a homepage works within a social intranet. An intranet's homepage can serve as the ideal starting point for community members, especially those who are new to your organization. The difference between them however, is that an intranet homepage lets users access documentation, share ideas, post questions, watch how-to videos and more, making it an effective training center that can streamline the onboarding process. 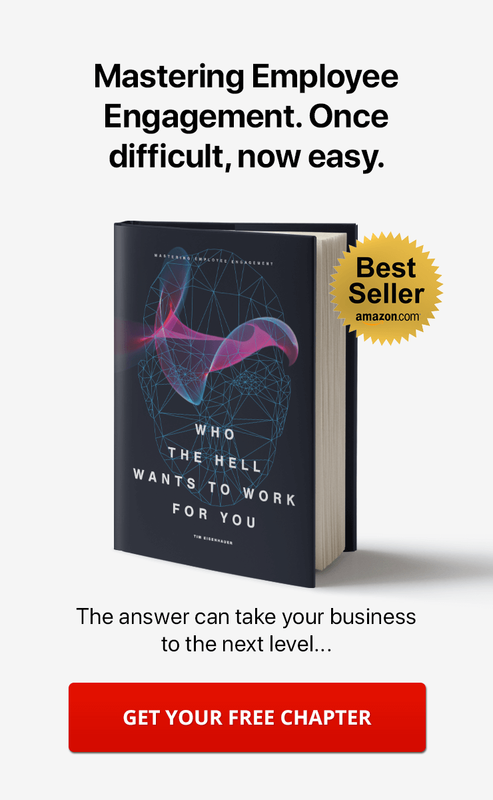 There will inevitably be situations in which something sparks the imagination of you or your employees, yet you simply don't have time to flesh things out properly at the moment. The intranet ideation feature helps you jot down a quick revelation, ensuring that you don't lose any inspiration. Ideas can be marked down on the fly, and other community members can expand upon them should they have any insight to contribute. Similar to a quick notation system, the "Ideas" feature can really come in handy when utilized regularly. Information overload occurs when too much media is presented to your community, and it's one of the most important things to avoid when attempting to streamline an intranet. This often happens when spaces aren't used, which can help to ensure that people are only seeing the information they need to and not that which pertains to others. Text, photos and videos can all add up to create information overload, but the problem is avoided by simply taking time to improve intranet organization. Since modern intranets are designed with sociability in mind, there are a variety of different tools which can be used to get the attention of others. With "mentions," you can tag someone in a status simply by preceding their name with an "@" symbol. Users are notified when they have been mentioned in a post, and the end result is a more tightly-knit community of employees that work together instead of strictly individually. Messages in a social intranet can change how you communicate with other members of your organization. A well-designed intranet chat and messaging system allows community members to participate in group or individual conversations, all of which will be backed up so that no important information gets lost. Once you get acquainted with messaging and chat in social intranet software, you'll find that you and your employees use email less and less as time goes on, as internal messaging is simply a better vehicle for communication. Notifications help community members keep track of how their contributions are received by others in the community. One example of this feature is that users receive a notification when a wiki they've created is updated by other community members. When combined with the activity stream and activity ticker, notifications are quite powerful and help to eliminate any confusion that might occur when things get busy. Spaces are essential for getting the most out of a company intranet. Just as an organization is made up of multiple departments, a social intranet can be comprised of multiple online workspaces, each devoted to a specific team, project, or other piece of the community. Spaces help keep information overload at bay by presenting community members with only the information they need to see, which results in a high level of organization. A member's interests are especially effective at bringing a community closer together thanks to employee profiles. Profiles allow people to list their hobbies, interests, skills and qualifications in a way that can be searched by other community members. This capability helps alleviate questions as to whether or not an individual is right for a specific job. Filling-out a user profile takes just a few minutes, and the benefits are numerous. Many people are familiar with the concept of wikis thanks to the popularity of communities such as Wikipedia, and for good reason. In the context of the social intranet, a wiki is essentially an internal page that can be edited and collaborated upon by a number of different users. Wikis serve as a framework for internal documentation, but there are countless ways they can be used with the right amount of planning. Note that wikis can become cluttered if organization isn't a priority, and a cleaner environment will be easier to navigate. Workflow in a social intranet typically refers to the process an employee, or group of employees, follows in order to take a task from start to finish. While an organization may preach specific workflow guidelines, there's no getting around the fact that everyone has their own unique way of handling tasks, and variety should be encouraged. There are numerous other terms associated with intranets, and surely the terms may vary depending on your intranet provider, but one thing is certain, by studying and understanding these general terms, you have a greater opportunity for achieving intranet engagement and success. Tim, thanks a lot for this. I've been plunged into the world of online social communities as a commercial site moderator from a standing start. I possess a unique accumulation of knowledge on one subject, but know nothing of your world. I'm of a vintage that I don't even do Facebook! As a result of your words, glimmerings of light have dawned in how I can proceed with some tasks. I've also gained some inspiration for what I could do. Thanks. Lyn, thanks for sharing. And I hope that you keep coming back for more. We have a wealth of knowledge about collaboration, intranets, and much more on the site. Let me know if there's anything I can do for you.